Artwork © 2015 Han-earl Park. Update: download no longer available (“Limited availability… until March 31, 2016”). For those who got it, big thanks for your support; wishing you good listening! This bandcamp-hosted album offers the option to download the recording in multiple formats (mp3, Ogg and AAC) including lossless (FLAC and ALAC), and includes print-ready CD case cover and inlay artwork. Price: €5 minimum (‘name your price’). Incidentally, replacement of the components depicted in the cover art (potentiometers, capacitors, etc.) would be about €70. Many thanks to David Birchall of Tubers Music, and Sibyl Madrigal and Alex Ward of Boat-ting for hosting the performance. The Racially Diverse Trio of Nerdy Guys: or We Were Paid in Comics! Released: November 1, 2015. Limited availability (until March 31, 2016). 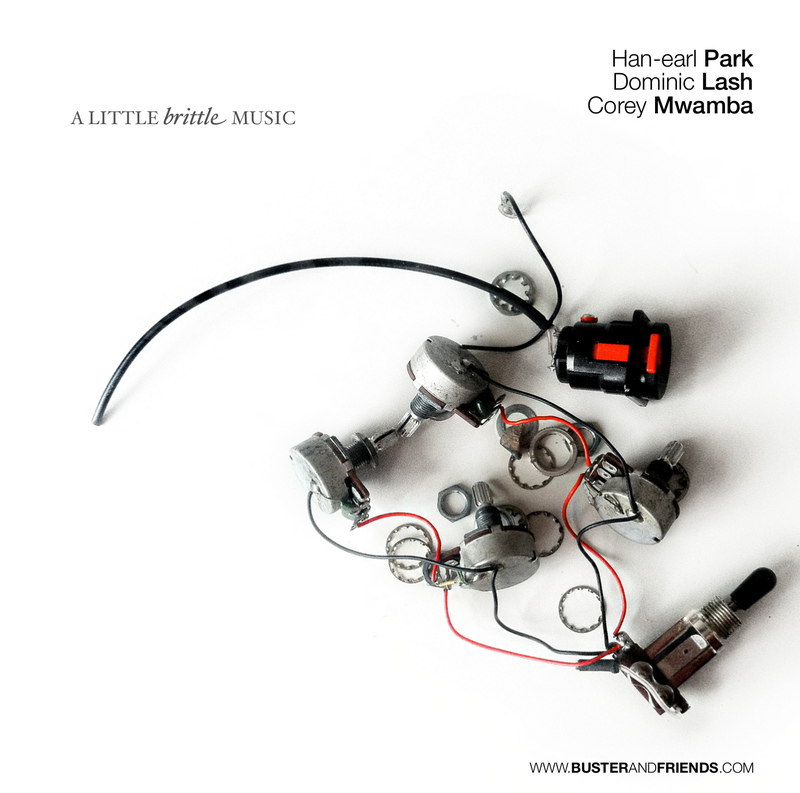 Han-earl Park (guitar), Dominic Lash (double bass) and Corey Mwamba (vibraphone and flute; tracks 1–2). Tracks 1–2: music by Han-earl Park, Dominic Lash and Corey Mwamba. Tracks 3–4: music by Han-earl Park and Dominic Lash. Tracks 1–2 recorded live at St. Margaret’s Church, Manchester on May 2, 2015 as part of the Tubers MiniFestival curated by David Birchall. Tracks 3–4 recorded live at Boat-ting, London on May 4, 2015 in an event curated by Sibyl Madrigal. Recorded and mastered by Han-earl Park. Dominic Lash, Han-earl Park and Corey Mwamba (Manchester, May 2, 2015). Photo © 2015 Peter Fay. Performers: Catherine Sikora (saxophone), Ian Smith (trumpet) and Han-earl Park (guitar). (cc) 2012 Catherine Sikora/Ian Smith/Han-earl Park. 04-01-16: no longer available for download. Han-earl Park, Dominic Lash and Corey Mwamba (Manchester, May 2, 2015). Photo © 2015 Peter Fay. Note of thanks for the performances in Manchester, Cambridge and London. Thanks in particular to our hosts (their partners and cats) and organizers: David Birchall and everyone at Tubers; David Grundy; and Alex Ward at Boat-ting (and hope you feel better soon, Sibyl Madrigal). Kudos to all the performers who shares the stage, and to Peter Fay for the documentation [more images…]. And, as always, thanks to all those who came to hear real-time music! As for The Uncanny Dom Lash and The Astonishing Corey Mwamba, I’ll take off my hat, and bow down, to your formidable and generous musicality (a diabolical combination). I think we made music sometimes brittle, always unexpected, with no gesture lost in play. Some things to take away from this micro-tour: talking ‘scene’ (creative communities and geographies) with David Birchall, Rex Casswell, Corey and Cathy Heyden; paying The Racially Diverse Trio of Nerdy Guys in comics (thanks to Free Comic Book Day); revisiting my take on soundart and music; finding, with Dom and Rex, unexpected musical possibilities in the imagined names of the royal baby; watching Bark! in motion—off and on-stage—an ensemble that plays like a joke where the punchline never arrives (and it’s awesome); Dom saying that “the details need to work harder”; Steve Beresford telling tales of improvised music past and present; being reminded what an imaginative, crafty and resourceful drummer Steve Noble is (he gives so much for his partners to work with); witnessing the joy of someone coax the musical from unmusical resources (Sonic Pleasure sounding masonry); performing our last gig while Dom’s bass gained a buzz and my guitar’s bridge pickup cr*pped out…. …Talking of which, if you’ll excuse me, I have a guitar to open-up and examine (and hopefully repair before Belfast). Also performing on May 6, 2012 at 2:00pm: John Edwards, Caroline Kraabel and Lee Patterson; Terry Day; and the London Improvisers Orchestra. Also performing at FOTC: Guillaume Viltard; Ute Kanngiesser, Grundik Kasyansky, and Roger Turner; Jamie Coleman and John Russell; Jennifer Allum, Ross Lambert and Seijiro Murayama; Weavels (Mick Beck, Chris Cundy and Alex Ward); Sebastian Lexer and Steve Noble; Okkyung Lee Christian Marclay and Phil Minton; Tony Marsh and Mark Sanders; John Edwards, Shabaka Hutchings and Mark Sanders; Common Objects (John Butcher, Angharad Davies, Rhodri Davies, Heledd Francis, Lina Lapelyte, Matthew Lovett and Lee Patterson); Pat Thomas; and Evan Parker and Eddie Prévost. Mathilde 253 (Charles Hayward, Han-earl Park and Ian Smith) was born out of an opportunity to explore the spontaneous mashup of avant-rock, African-American creative musics, European free improvisation and noise. 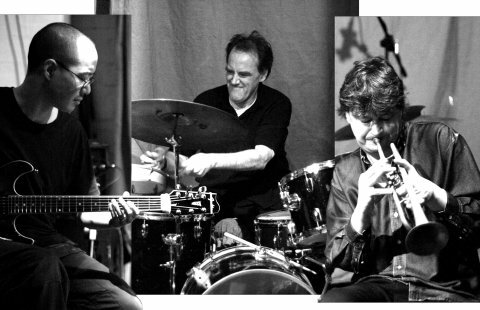 Featuring special guest Lol Coxhill, the ensemble debuted at Cafe OTO (London) in April 2010. 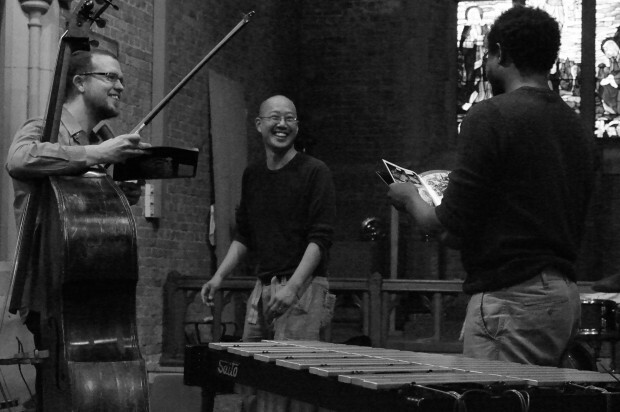 In March 2011, with support from Music Network, UCC School of Music, Note Productions, the National Concert Hall and the Cork Opera House, Mathilde 253 toured Ireland with the celebrated composer-improviser Ishmael Wadada Leo Smith. The ensemble weaves a performance of physical virtuosity and humorous sound poetics; a patchwork of restraint, subtlety and recklessness. A playful collision of personal, social and musical histories, Mathilde 253 is a site where tradition and idiom are not straightjackets nor limitations, but playgrounds for real-time (re)inventions and (re)configurations. 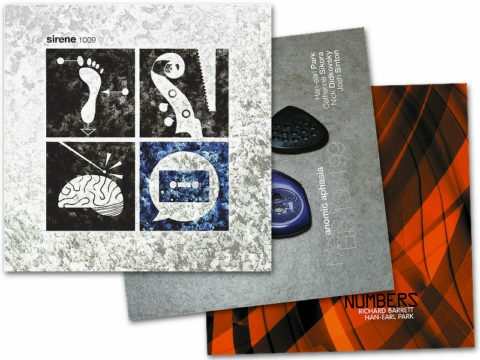 Mathilde 253’s eponymous debut CD (SLAMCD 528) was released by SLAM Productions in January 2011. Charles Hayward is known as the pioneering drummer with This Heat and Camberwell Now, an ever growing list of solo concerts and CDs (most recent release Abracadabra Information on Locus Solus label), special collaborative performances, and is in Massacre with Bill Laswell and Fred Frith. Throughout the 90’s up to the present he has initiated a bewildering array of events and performances, including the widely acclaimed series Accidents + Emergencies at the Albany Theatre, Out of Body Orchestra (too much sound, not enough space, not enough time), music made from the sound of the new Laban dance centre being built which was choreographed for the official opening, music for a circus (part of the National Theatre’s ‘Art of Regeneration’ initiative), the full-on installation/performance Anti-Clockwise (with Ashleigh Marsh and David Aylward) for multiple strobes, maze structure of diverse textures, 2 drummers, synthesizers and your nervous system. Recent developements include the Continuity evenings as part of Camberwell Arts. Committed to song ‘but the shapes have to change,’ his current one-man show is an intoxicating mix of percussive attack, swirling electronics and lyrical fragment collage. “Telepathic magic…. Hayward is one of the most life-affirming people who stalks this dark globe. He is part of Mathilde 253 with Charles Hayward and Ian Smith, and is involved in collaborations with Bruce Coates, Franziska Schroeder, Alex Fiennes and Murray Campbell. He has recently performed with Ishmael Wadada Leo Smith, Lol Coxhill, Pat Thomas, Paul Dunmall, Mark Sanders, Matana Roberts, Richard Barrett, Pauline Oliveros, Thomas Buckner and Kato Hideki. Festival appearances include Sonorities (Belfast), Sonic Acts (Amsterdam), dialogues festival (Edinburgh), VAIN Live Art (Oxford), and the Center for Experiments in Art, Information and Technology Festival (California). His recordings have been released by labels including Slam Productions and DUNS Limited Edition. Ian Smith has been playing improvised music and has performed with Evan Parker, John Stevens, Maggie Nicols, Lol Coxhill, Steve Beresford and Eddie Prévost among others. His own trio, Trian, has played at the 1993 London Experimental Music Festival and the 1992 Soho Jazz Festival. He also participated in a reformation of Cornelius Cardew’s Scratch Orchestra in the ICA in 1994. He has collaborated with composer Roger Doyle, winner of the Bourges International Elecro-Acoustic Music Competition 1997, and he has been featured on two instrumental tracks by the hip hop band Marxman. He toured the UK with Butch Morris’ London Skyscraper conduction project in November 1997. He helped to institute the London Improvisers orchestra in 1998 with Steve Beresford and Evan Parker, which continues to play monthly in London and has recently performed at the Bimhuis in Amsterdam. He also founded The Gathering with Maggie Nichols. In 2000 he recorded his second CD as a leader, Daybreak, with Derek Bailey, Veryan Weston, Gail Brand and Oren Marshall. Into the twenty-first century, as well as regularly playing with London improvisers, he has also performed with Greg Tate’s Burnt Sugar Arkestra, guitarists Han-earl Park, Reeves Gabrels, the Poet and Detriot legend John Sinclair, and New York based drummer Harris Eisenstadt. 04–30–12: add the John Edwards/Shabaka Hutchings/Mark Sanders set that stands-in for the Tony Marsh/Mark Sanders duo. I cannot, however, bring myself to remove Mr. Marsh’s name. RIP Tony Marsh. (doors: 8:45pm) Stet Lab featuring Stephen Davis (drums) with Han-earl Park (guitar), plus Helena Reilly (voice), Kevin Terry (guitar) and Dan Walsh (drums). Birmingham B5, England 9:00pm Fizzle presents a performance by Paul Dunmall (saxophones), Han-earl Park (guitar) and Mark Sanders (drums). Edinburgh EH1, Scotland 8:00pm Grind Sight Open Eye presents performances by Han-earl Park (guitar), and Matthew Collings, plus others (TBA). London SE14, England 8:00pm Performance by Mathilde 253 (Charles Hayward (drums, percussion and melodica), Han-earl Park (guitar) and Ian Smith (trumpet and flugelhorn)) with Pat Thomas (synthesizer) plus Zolan Quobble (spoken word). February 21, 2011 Bar & Co.
(doors: 8:45pm) Boat-ting presents a performance by Mathilde 253 (Charles Hayward (drums, percussion and melodica), Han-earl Park (guitar) and Ian Smith (trumpet and flugelhorn)) with Lol Coxhill (saxophone). Also performing are Sharon Gal (voice), Alex Ward (guitar) and Steve Noble (drums); Red Start (Noel Taylor (clarinet), Benedict Taylor (viola) and Noura Sanatian (violin)); and Sibylline Sisters (Sibyl Madrigal (poetry), Aromorel Weston (voice) and Kay Grant (voice)). Admission: £6/4. March 2011 The Netherlands I’m looking for performance opportunities in The Netherlands mid-March 2011. Interested promoters, venues and sponsors, please get in touch! Cork, Ireland 8:00pm Performances by Ishmael Wadada Leo Smith (trumpet) with Mathilde 253 (Charles Hayward (drums, percussion and melodica), Han-earl Park (guitar) and Ian Smith (trumpet and flugelhorn)). Presented with funding from the Music Network Performance and Touring Award, and support from the UCC School of Music and the Cork Opera House. Tickets: €11 (€6) from the Cork Opera House. Dublin 2, Ireland 8:30pm Performances by Ishmael Wadada Leo Smith (trumpet) with Mathilde 253 (Charles Hayward (drums, percussion and melodica), Han-earl Park (guitar) and Ian Smith (trumpet and flugelhorn)), plus Paul G. Smyth (piano). Presented with funding from the Music Network Performance and Touring Award, and support from Note Productions and the National Concert Hall. Tickets: €12 (€10) from the National Concert Hall Box Office. Cork, Ireland 8:00pm Performances by Ishmael Wadada Leo Smith (trumpet) with Mathilde 253 (Charles Hayward (drums, percussion and melodica), Han-earl Park (guitar) and Ian Smith (trumpet and flugelhorn)). More info to follow… Presented with funding from the Music Network Performance and Touring Award, and support from the UCC School of Music and the Cork Opera House. Tickets: €11 (€6) from the Cork Opera House.